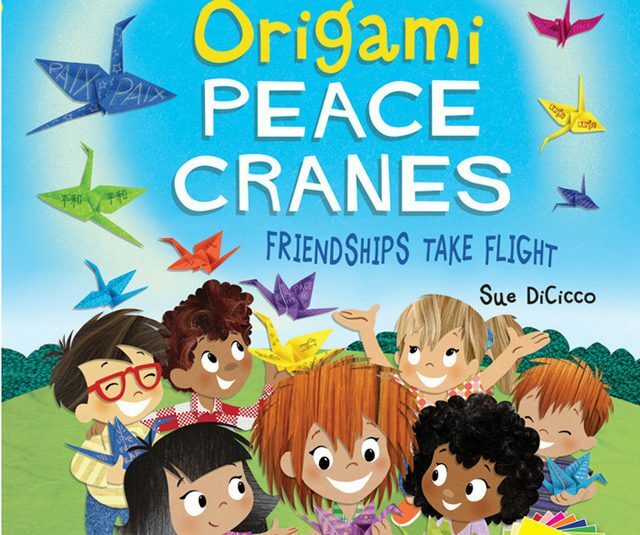 Origami Peace Cranes is a book written for children but with a world message. Sue DiCicco the author is a former Disney Animator, artist and sculptor who is on a mission. She has created The Peace Crane Project which connects children through the arts and promotes peace, love and tolerance. This book is a part of that mission. It features Emma a new girl in town and her quest to make friends. Emma feels at first that she has to change her self on the outside to be “worthy” of friendship, but is her own worst enemy. Things change for Emily through an origami crane project at school, and she realizes that who she is good enough. She cannot be anyone else other than who she is and that is alright. People will accept her authentic self. Origami cranes with messages are featured as a key to communication between diverse groups in the book. You can try spreading your own message of world peace by folding origami cranes and giving them to others with your messages of love and peace. The book includes instructions for folding origami cranes and a free pack of origami paper. After you are finished give them to your family, your friends and strangers. Everyone will appreciate and treasure your origami crane gift. The book is engaging, has beautiful drawings and a presents a wonderful learning lesson for children. There is, however, one aspect of the book that may be difficult for young children. If your little ones want to make their own origami cranes, they will probably need a lot of direction and guidance from an adult. The paper crane diagrams are difficult to follow. This is not a craft that is age appropriate for younger children. They will however, probably love the story and insist that it be read to them over and over again. 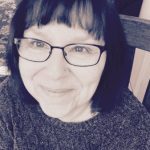 Make sure to visit Sue’s website, PeaceCraneProject.org to learn what you can do to connect with others and continue the mission.